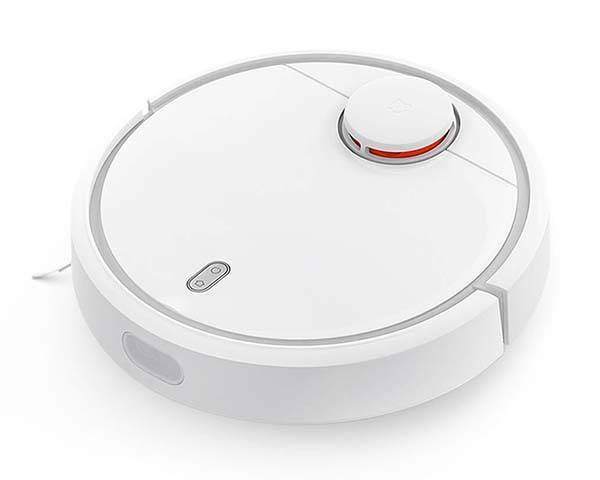 With built-in WiFi module Xiaomi Mi robot vacuum cleaner can be controlled with your smartphone. Need more features? Let’s continue checking. The Mi is an app-enabled and powerful smart robot vacuum cleaner that measures 13.6 x 13.6 x 3.8 inches and weighs 8.4 pounds. 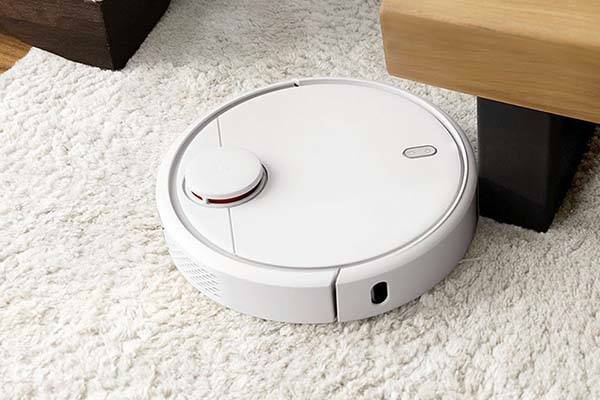 As shown in the images, the vacuum cleaner has a classic, compact rounded form factor, and the white exterior shows off a sleek and elegant appearance design. Meanwhile, the slim design enables the robot working in narrow space. The Mi WiFi robot vacuum cleaner comes equipped with 12 different sensors, and its laser distance sensor (LDS) scans its surroundings 360 degrees, 1800 times per second, so it’s able to map out the interiors of your house. Furthermore, its p Simultaneous Localization and Mapping (SLAM) algorithm ensures the robot clean your floor according to the most efficient route. 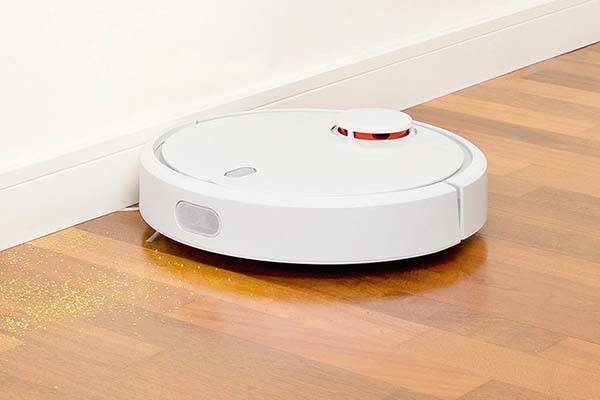 Moreover, using a Nidec brushless DC motor and a main brush with adjustable height, the cleaner efficiently clean up your floor. Using the Mi Home app, you can remotely control the robot, switch among cleaning modes and set schedules. Its 5200mAh rechargeable battery allows it to clean 250 square meters of the environment. In addition, anti-collision detection and falling detection protect the robot and your furniture. Xiaomi Mi WiFi robot vacuum cleaner is priced at $452.42 USD. If you’re interested, jump to here for its more details.